In late June 2015, one of my friends approached me to create a logo for his coffee roasting side business he was starting. 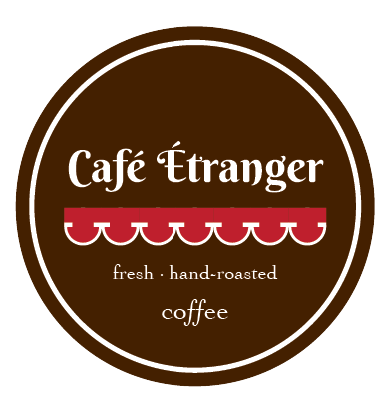 He called it Café Étrangér (“foreign coffee”) and he wanted to target primarily the expat community in Korea with his beans. I created the logo and packaging labels for him, which he then put to good use labeling bags and gift boxes with his freshly roasted coffee beans.